Today, the kids were so thrilled. Uncle M took a bunch of us back out on the lake to try for another ride without rain. You see, while we were just starting out on Saturday it started to rain pretty bad. 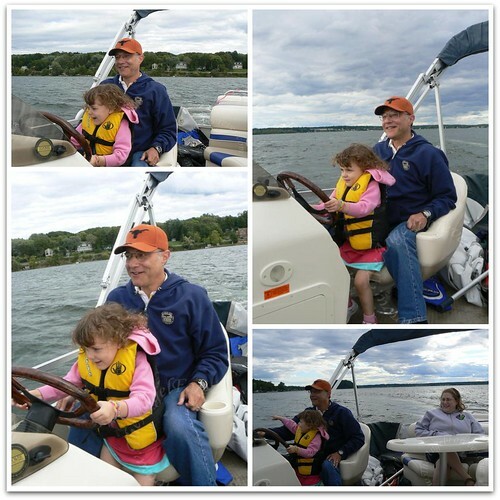 Each of the kids had one thing in mind, they were excited to be able to drive the boat with Uncle M. This is now a tradition and the kids look forward to it. Each of the kids were able to go behind the wheel with Uncle M twice. NHL started off. At first, he drove in figure eights. Then, after a while, he figured out how to maneuver the boat around to go in the wake to hit some big waves. Next up was cousin SG. She was a little timid the first time. When she tried again, she was quite into doing donuts on the water. Yes, we went round and round in circles. When she finally stopped, she was intrigued by the shore. When it was time for JSL to drive, he was so quiet. He was thrilled to sit with Uncle M and kept going int a straight path. 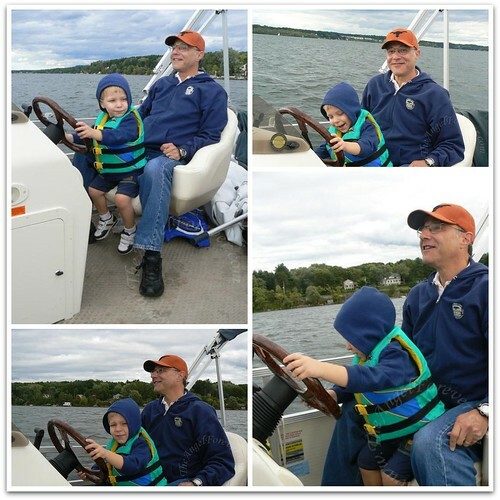 It was really nice and calm – no fear of getting sea sick with him as the captain. 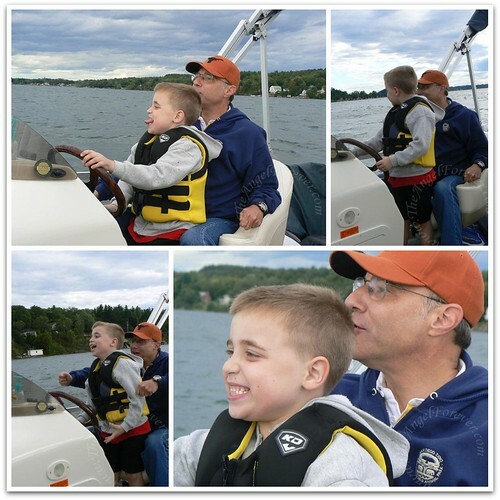 Thank you again to Uncle M for making some very happy little skippers on the lake today. These are definitely memories that we will all treasure. How FUN! My son would love to do that. What a great uncle. I’d love to know how you make these great photo layouts too!